Sweetman Illustrations: Oh, the scarf. Everybody knows the scarf. Oh, the scarf. Everybody knows the scarf. The fourth Doctor was arguably the best known of the entire series. 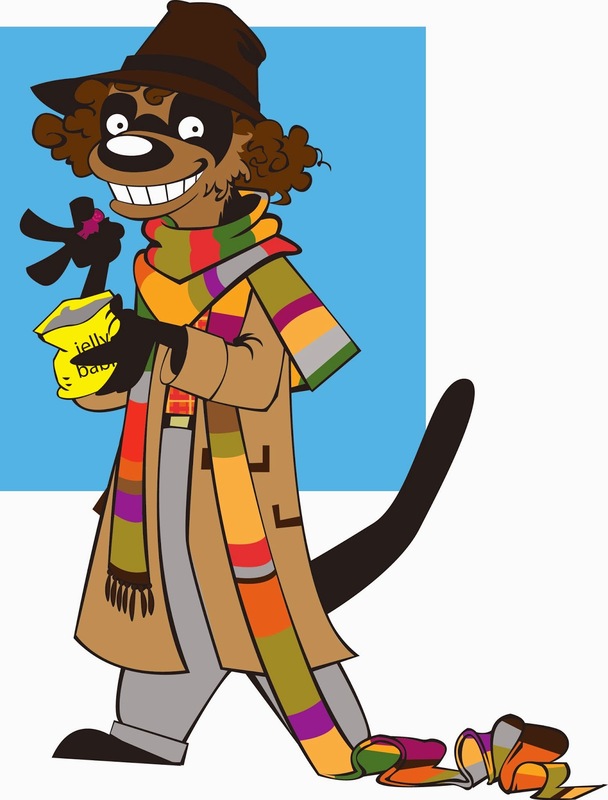 Portrayed by Tom Baker, the Doctor displayed a goofy grin, an addiction to Jelly Baby candies, and a twelve foot long scarf.